I didn't realize how much this book could help until I read it with my littles. It is such a great way to introduce and teach children about mindful breathing. This is such a great book for any type of child. Children that get anxious, children that are always rushing and have a tough time transitioning to moments of quiet, in moments of frustration or when they get scared. 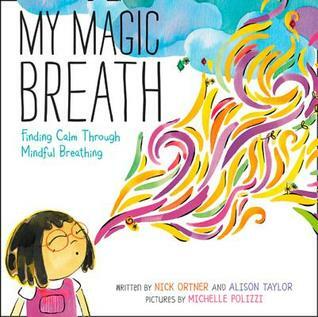 I have enjoyed using this book with my own littles in a way to show them how to take a mindful breath. I love the illustrations of this book! They are so colorful and really draw in attention. 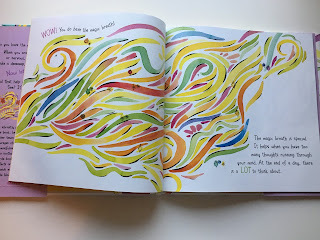 They also have a calming affect with the flowing colors across the page. 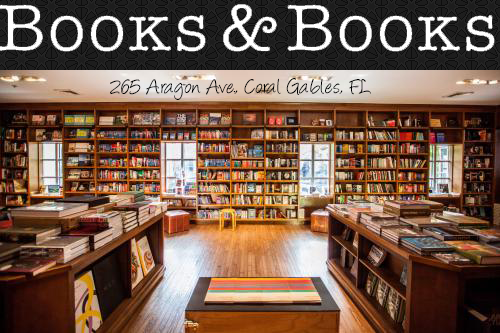 It's overall a very calming and visually pleasing book to page through. One of my favorite aspects is the versatility of this book. 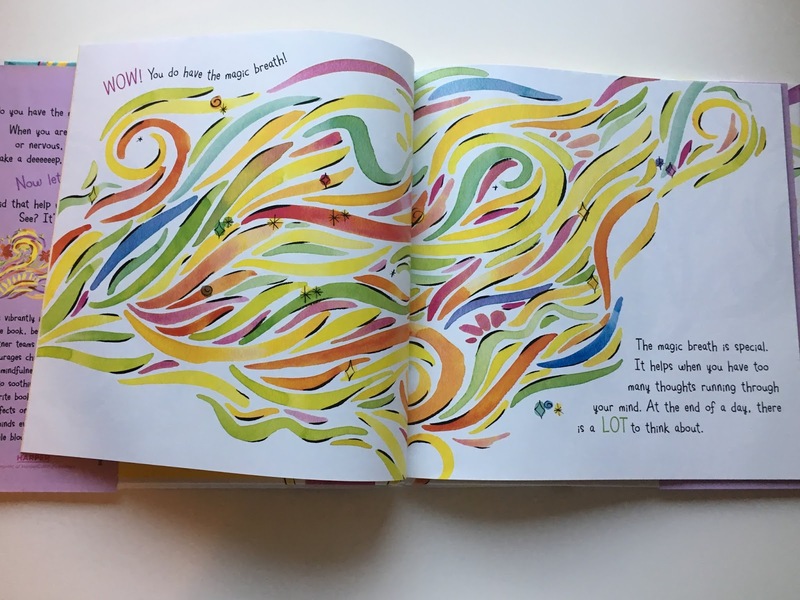 For young children this is just sort of an introduction to mindful breathing. They may not be able to source what is troubling them, but they can still understand taking a big deep breath and letting it go. 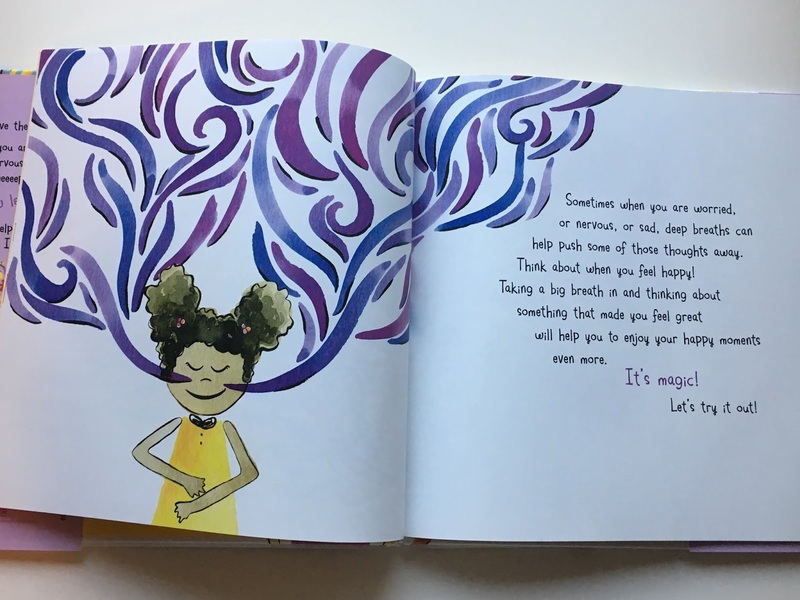 For older children (and anyone, really) the book talks about finding what is causing the hard feelings and to let them go as they release the breath. 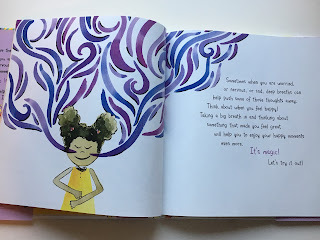 I really liked that the book can be used for all ages and dives into all aspects of mindful breathing, not just simply showing how to take a big deep breath. As an adult/parent, I learned from the book as well and practiced with my littles. This is one that I see myself recommending, that would be so beneficial to have on your kids'/kiddo(s) in your life/even your bookshelf.